Relax and take a breath at yoga class. Cannabidiol, a/k/a CBD, is taking off across the country to treat all kinds of conditions, such as arthritis and inflammation, and many yogis (those who practice yoga) are taking their CBD usage to the mat and incorporating it with their practice. 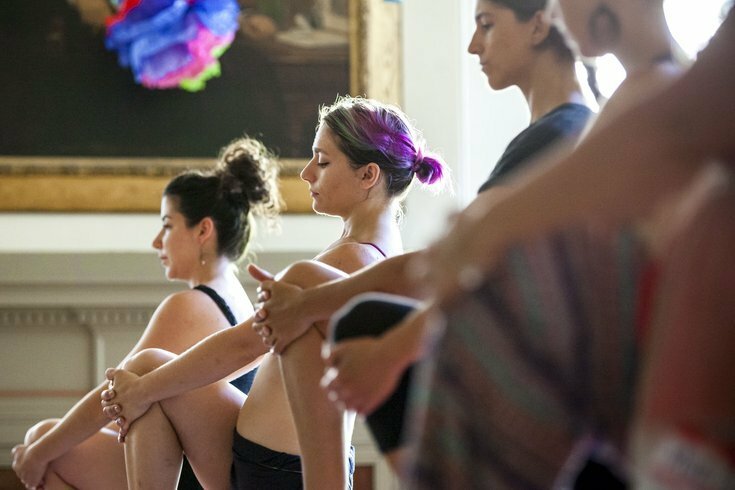 “I don’t see why there’s any reason for anyone to not try it if anyone is coming to yoga to try to correct any kind of imbalance, physically or emotionally in their life,” says Heather Rice of Amrita Yoga and Wellness Studio. CBD and yoga have both been found to reduce inflammation, so it makes sense that these two forms could be used together to treat inflammation and anxiety. There are several ways to use CBD in conjunction with yoga and a healthy lifestyle. Rice recommends topical usage for chronic pain or even if you’re just sore from yoga, but if you’re anxiety-prone, she recommends tinctures. Local producers of CBD from hemp products include Nulife CBD and Mitchell’s Medicinals. CBD products can be found at several markets including Penn Herb Company in both locations, Hemp Headquarters in Willowgrove, and Essene Market in Queen Village. You can also find CBD at boutiques and studios such as Rescue Spa, Amrita Yoga and Wellness, and Eviama Life Spa. While CBD is legal due to the low content of THC it is important to note, however, CBD is currently still listed on the Controlled Substances Act. The military does not generally approve usage of CBD, as well, so if you are active military, be wary of owning and using CBD products. While a bill was passed by the Senate to legalize hemp as an agriculture commodity, it still needs approval in the House and a signature from the president before it’s removed as a “controlled substance.” The future of CBD seems fairly promising, however. The FDA has just approved its first drug for epilepsy, which contains CBD. For those wondering, it’s highly unlikely CBD from hemp would show up on a drug test. If you must, err on the side of caution, but generally, it is found to be safe. The average dose is somewhere between 10 to 50 mg per day, and in order to have the chance of it showing up on a drug test, the user would need to take more than 2,000 mg per day. As with any supplement, check with your doctor before ingesting.